←Save the Date – Multi-Passionate Must-Haves 2016! Photo courtesy of University of Salford Press. Well, here’s a glimpse at one of the 14 products in the sale: Cory Huff’s wonderful course, Artist Websites that Sell. 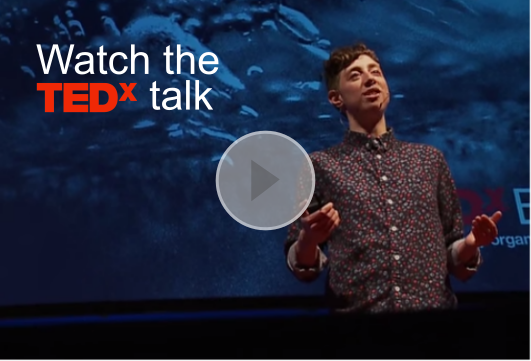 Cory is an actor, storyteller, director, photographer, and creator of The Abundant Artist. (In other words, he’s a bona fide multipotentialite)! What a pleasure it was getting to chat with Cory! Be sure to stop by Puttylike on May 17 (or fill out the green box on the sidebar to get an email reminder) to grab his course, Artist Websites that Sell, along with the 13 other courses in this year’s Multi-Passionate Must-Haves! 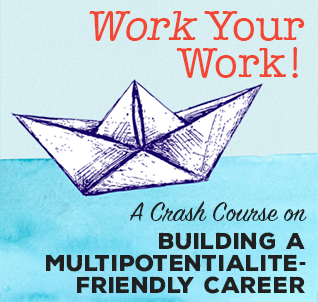 Are you a multipotentialite and an artist? Does your art ever blend together with or impact your other projects in interesting ways? 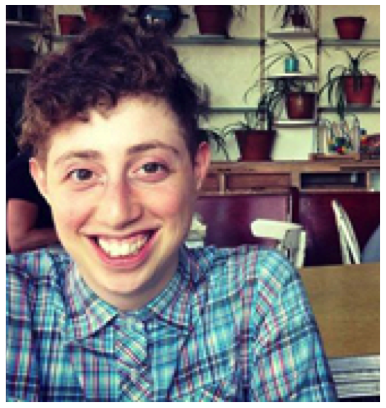 Hi Emilie – What a gem you are to create a space that makes’Mulitipotentialites’ cool! Anyway, YES, I am an artist and multipotentialite – AND serial entrepreneur. Before producing art as a product, I brought creativity into anything I was doing: solving problems, proposals, productions, developing, anything. Through that process and time in my life, I realised that art is infused into everything – doesn’t have to be a solid thing – it more of how you approach life. That was a huge relief for me, because I finally felt I didn’t have to ‘choose’ one thing anymore, I could just call it all creativity! I finally had to blend the two even more (because as you do, it grows) so now I create art (painting encaustic and acrylic) and work creatively in business (retail & manufacturing art things) and creating an online space to help other artists wrangle their ideas and implement them. By simply getting out from under the directive of doing or being ONE thing is such a huge lift for people, for artists especially – it hangs like a wet blanket on society – and threatens to snuff out creativity if you let it. So that’s why sites like yours are so important to say, ‘Hey, it’s okay and you’re not alone’ – so thanks! Yeah, So I would love to do more web development for actors, theatre companies, performing arts groups, and the like. But I don’t want to be known as the web guy solely. I also want to be known as a solid performer. I am in the process of starting a performance ensemble and my legal/admin/business side is helping (and hindering perhaps) my creative performance side. There are lots of licensure issues, budget, etc that pairs with the creative production of things. It’s good and it’s bad too, in some ways. Hey Jonathan, if I can be known as an actor to the theatre community, and a marketing guy to the artists, then you can do the web dev/performer thing. Most artists lead dual careers. Interesting interview, for me especially the part about doing creative stuff and also doing marketing, as that is what I do, but I didn’t go ”full time” into marketing until I was 44 (I’m now 49), and that’s because I started a sustainability MBA program at 41 and switched careers upon graduating (got out of sales). A portion of my time also goes to translation and simultaneous interpretation (Spanish). And I don’t have an ”inner conflict” with marketing because I won’t market widgets just for the sake of selling widgets, basically I market either education or sustainability, and the world needs more of both, so I don’t have any problems sleeping at night, looking at myself in the mirror, etc. But the creative side started for me from early on, I was classically trained in both piano and violin starting at 7 years old, and as a young adult took on latin percussion which I still play, mostly with Brazilian samba groups. The other hobby I have is also photography! And I’ve been able to incorporate it into my marketing which is pretty cool. Another thing that my marketing kind of naturally led me into is starting to design websites (on Squarespace so no I’m not learning html or anything like that), not that I’ve done it ”professionally” yet as in for pay, but I had to do one for a non-profit pro bono, then I did my own website, and now I have to do a 3rd for a new business venture I’m helping start up, and I may even have a first client soon (though not too worried about new website clients cuz I’ve already got SOOOOO much to do and I’m not going to make it a specialty, not just yet at least). Another thing in common is I speak a few languages, fluent Spanish, conversational French and am now learning Italian. So in a nutshell I had a LOT of things in common with Cory, though I’m probably 15 years older I’m guessing. (And if I could take on something like painting or sculpture, I would get into glass blowing, that’s always been a fascination for me.) If that isn’t multipotentialite enough for you, last October I along with my family bought an olive tree farm in Italy, turned the villa on the property into a vacation rental and will plant vineyards later this year (this is why I’m learning Italian). So at some point this year I will have to dedicate more time to farming and greeting/hosting tourists (this is what I built my 2nd squarespace website for), as I will be splitting my time this year between the Bay Area and Tuscany. And even here in this forum I have to admit it’s still hard to talk about all this stuff because no matter what that nagging part of me still feels like I’m ”scattered” and I need to ”focus” (and hearing it from others makes that worse). Finally (and I promise I’m gonna wrap this up now) as for scientists who are really creative, the first to come to mind would not have been Einstein, it would’ve been (in my eyes) the greatest artist/scientist multipotentialite of all, Leonardo Da Vinci. Thanks for indulging me, I had a lot to say after that interview! I am an artist and a Multipotenialite and the two combined have dramatically affected many aspects of my many other passions. In the business world it has allowed me to work with advertising creative departments, product design, retail design, and more. Interestingly it has also drawn peers who would be considered “specialist” to me, and as a result, open doors of communication that may not have been open otherwise. As a leader, those who learned of my artistry, gained great insight in myself as a person, and helped create trust in a leadership relationship. For those who are both Multipotenialites and artist, continue to share your work. You would be surprised who is watching and appreciating. I am a multipod but I think that I have a highly adaptive mind which easily gets involved in what I deal with.I am a pity good beat boxer ,good in karate,a music composer ,sometimes I used to write too.But only my introvert and antisocial behaviour leads all this qualities of me to ends up in my mind. 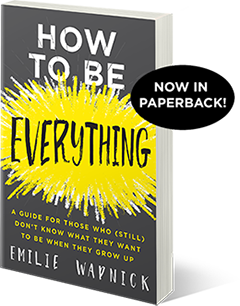 Thank you Emelie for your amazing blog, videos and everything else you do to make life easier for us multipotentialites. Love the interview – it’s so encouraging to hear Cory is doing well as both an artist and a marketer! I’m an amateur MMA fighter, foodie and self-taught makeup/effects artist. I’ve done genetic manipulation on bacteria, I’ve done fire breathing, I’ve done drag performances, I have a degree in counterterrorism and I’m a published author. If I improved my social skills, charisma and learned to play an instrument (whistling doesn’t count), I would practically be a Homo Universalis. As you can probably guess, this causes massive problems whenever I try to find work or market myself in a way that makes sense to non-polymaths. My artistic abilities came in handy when I was studying for my security degree. One of the professors was testing fingerprint readers (his job was to figure out how to bypass them). He was having trouble cracking one particular reader, so I made him some mask gelatine to use (it’s more like skin/flesh in terms of conductivity, etc.) and it worked beautifully! Of course, I don’t just use my artistic skills to crack fingerprint readers ;) – that was just a one-off thing. I believe creativity and science go hand in hand – you need the creativity to develop ideas and the science/knowledge to make the connections that will fuel your creativity. 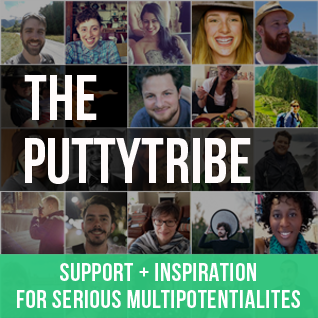 Looking forward to joining the Putty Tribe when registration opens next.